Initial casting has been announced for Half A Sixpence at the Chichester Festival Theatre which opens on 26th July 2016 (previews from 14th July) and runs until 3rd September 2016. The show will star Ian Bartholomew as Chitterlow, Vivien Parry as Mrs Walsingham, Emma Williams as Helen Walsingham and two young actors Devon-Elise Johnson as Ann Pornick and Charlie Stemp as Arthur Kipps. 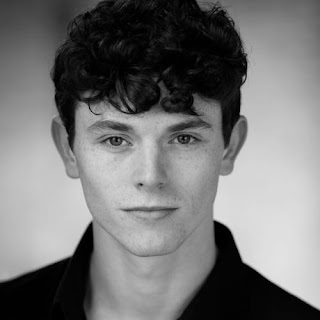 Charlie Stemp (pictured) and Devon-Elise Johnson have both recently completed the international tour of Mamma Mia! Stemp has also appeared in Wicked in the West End, while Johnson’s London theatre credits include Taboo, and Susan Parks in Billy Elliot as a child performer. The show is co-created and co-produced by Cameron Mackintosh with book by Julian Fellowes.Stiles and Drewe have written new songs for the musical to complement famous numbers from David Heneker's score. Rachel Kavanaugh directs with choreography by Andrew Wright, orchestrations by William David Brohn, musical supervision by Stephen Brooker, musical supervision & musical direction by Graham Hurman, lighting by Paule Constable, sound by Mick Potter and video design by Luke Halls.